time getting to know the community and the youth, we officially put the cameras in the youths hands yesterday! They are filming a story about their life and community to share with the world! This is the first of 13 countries we will be working with for this film festival circuit. 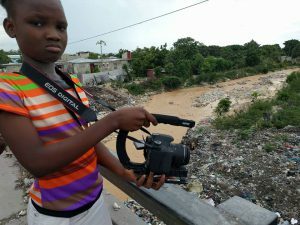 We shall be working towards posting video content, as well as interviewing people within these communities that are doing positive things to make an impact.